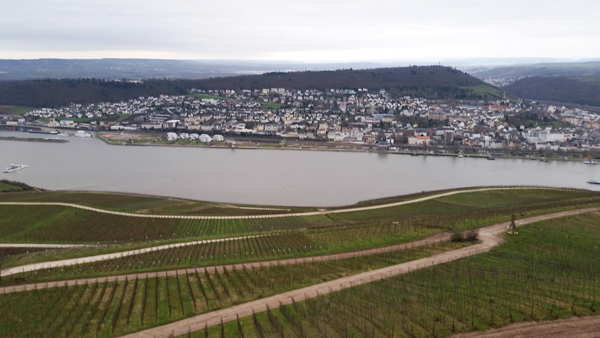 Today [December 23rd] was spent wandering in the vineyards across the Rhine from Bingen in Rudesheim. 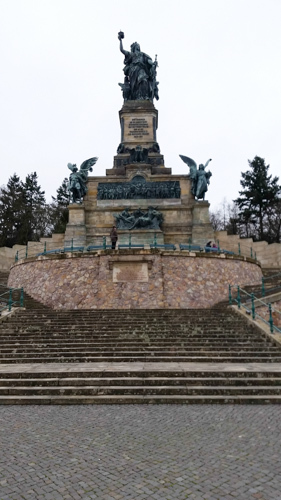 I took the boat over the river and began a steep ascent through the vineyards to the monument to Germany freedom built in the 19th century. 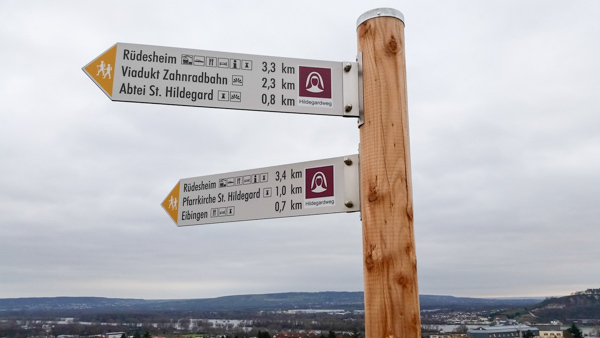 There is a commanding view of the Rhine valley from that vantage point. The impressive monument was built to celebrate the reunification of Germany. 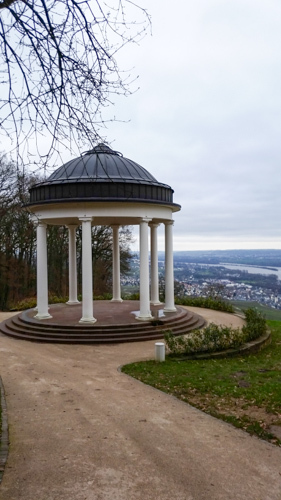 From there I walked the the Neiderwald temple built in late 18th century. 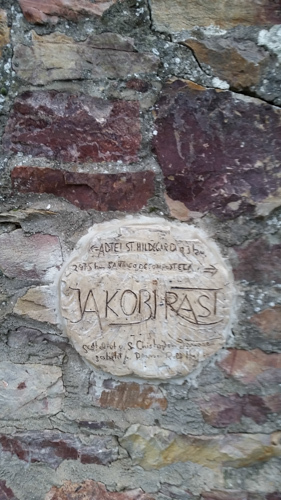 It was a favorite place for intellectuals like Goethe to gather and musicians like Brahms and Beethoven. This was also destroyed in the bombings but recently restored. More sights of Rudesheim are here. 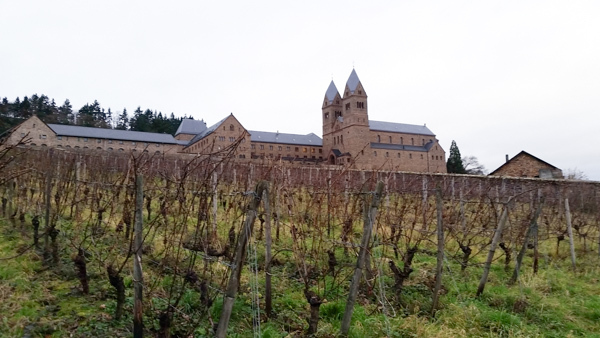 Then a lengthy walk to the Abbey of Saint Hildegard that was built in 1904. 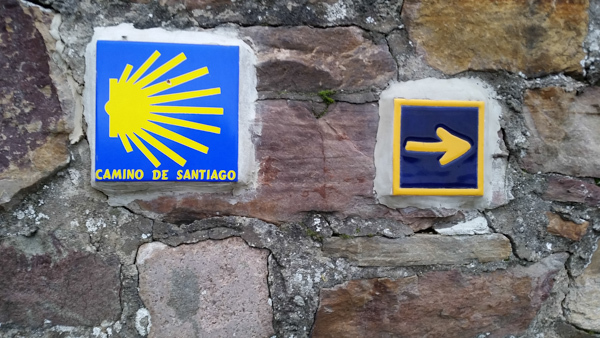 Bingen was on the Camino to Santiago! 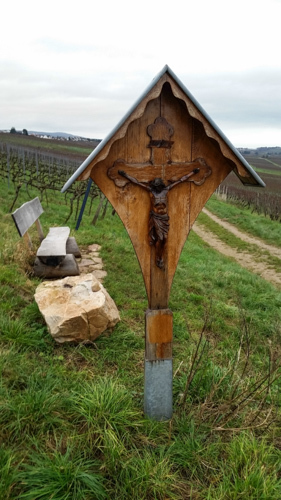 This entry was posted in Camino, Europe and tagged Bingen, Camino, Hildegard of Bingen, Rhine, vineyards on January 9, 2015 by frjfkauffmann.